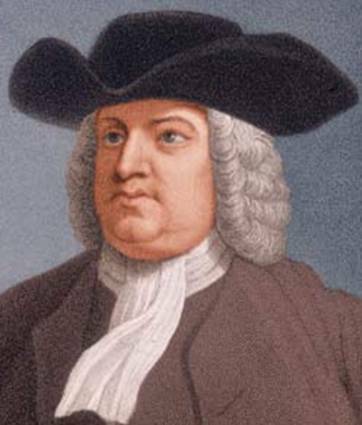 If it walks like William Penn, talks like William Penn and looks like William Penn . . . So just who is that guy in the plain black hat smiling back enigmatically from your box of oats? 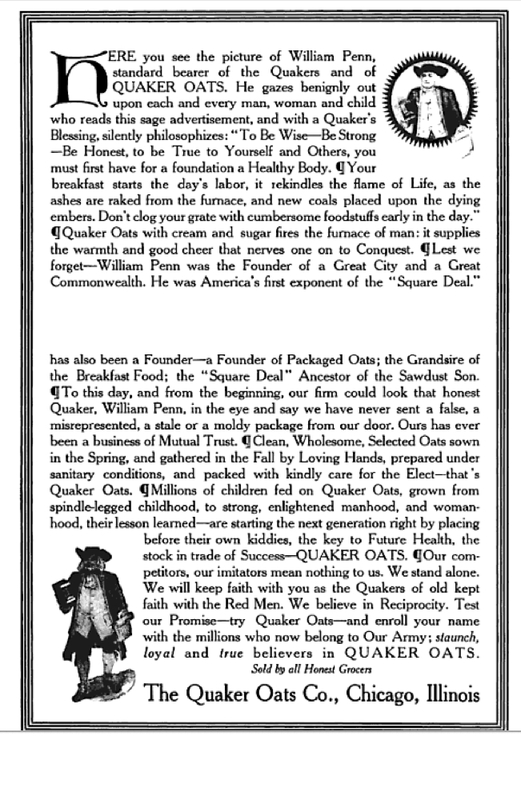 Today, the Quaker Oats Company, a PepsiCo subsidiary, emphatically denies that he’s Philadelphia’s honest founder, the man whose 37 foot tall statue graces the top of our city hall, William Penn. 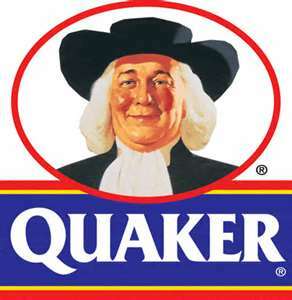 Q: Who is the man on the Quaker Oats box? Is it William Penn? A: The “Quaker man” is not an actual person. His image is that of a man dressed in the Quaker garb, chosen because the Quaker faith projected the values of honesty, integrity, purity and strength. “Sold by all Honest Grocers,” indeed.